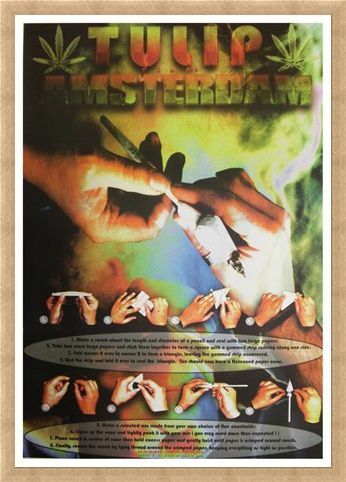 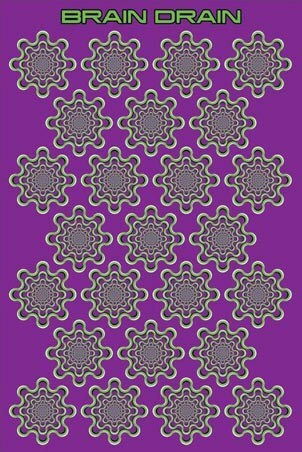 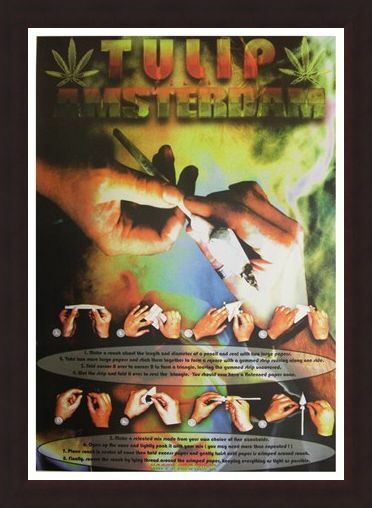 Humour Maxi Poster: If you want to experience the laid back attitudes of Amsterdam then make sure you check out this spliff-tastic maxi poster. 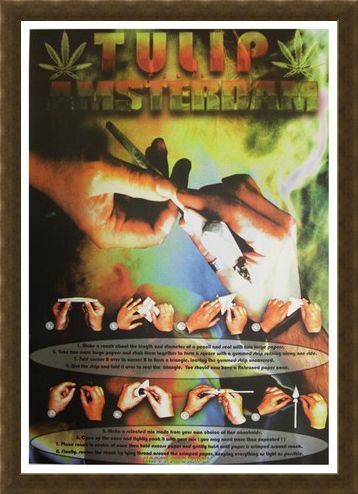 Bored of the standard joint? Then why not spice it up a bit with this floral fancy and create your very own Tulip from Amsterdam. 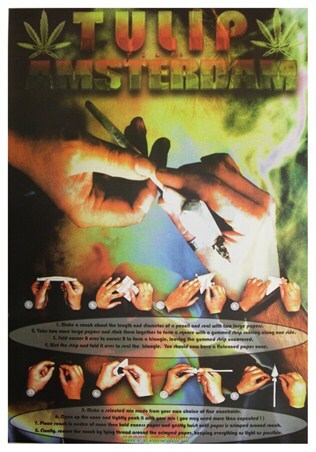 Complete with D.I.Y instructions on how to create this unique design, you will soon have your head in the clouds as you enjoy your very own high flying, sweet smelling flower! If you're looking for some humour for your college room then why not stick this 'Happy Smokin' poster on your wall today and let your cares float away. 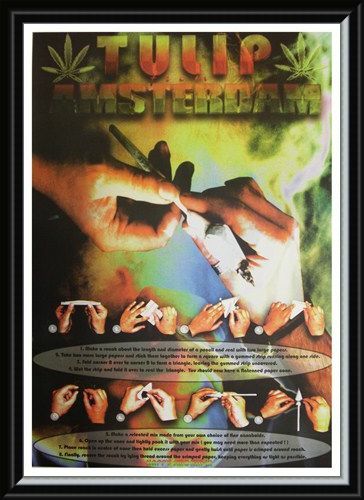 High quality, framed Happy Smokin', Tulip from Amsterdam poster with a bespoke frame by our custom framing service.